Network Cable increasingly welcomed by the people. However, the rapid development of network applications increasing demand for bandwidth. As technology continues to progress, the introduction of a higher level of cat 7 to meet most commercial applications. Define:Cat 7 patch cable is referred to as Category 7 patch cable, Cat 7 network cabling is used as a cabling infrastructure for 1000BASE-T (Gigabit Ethernet, or GbE) and 10GBASE-T (10-Gigabit Ethernet, or 10 GbE) networks. The Cat 7 standard provides performance of up to 600 MHz and can be used up to a maximum length of 100 meters. Category 7 cable is able to achieve higher performance than preceding Ethernet standards such as Cat 5, Cat 5e and Cat 6 by requiring each of its twisted wire pairs to be fully shielded. This is known as Screen Shielded Twisted Pair (SSTP) or Screened Foiled Twisted Pair (SFTP) wiring, and it almost completely eliminates alien crosstalk while significantly improving noise resistance. The Cat 7 standard was published in 2002 by the International Organization for Standardization (ISO) and is also known as Class F cabling. While more expensive than Cat 5e and Cat 6 cabling, Cat 7 cabling does have a 15-year lifecycle (compared to estimated 10-year lifecycles for Cat 5e and Cat 6), which helps improve its overall return on investment (ROI). Category 7 (Cat7) is the newest cable standards for Ethernet and other interconnect technologies. Cat 7 cable was developed with strict specifications on crosstalk and EMI protection. Cat 7 cable features four individually shielded pairs as well as an overall cable shield to protect the signals from crosstalk and EMI. Cat7 cable provides a copper solution for 10-Gigabit Ethernet at 100 meters. Cat7 cable is commonly terminated using a GG45 connector, which is a connector that it backwards compatible with the 8p8c RJ45 connectors used on Cat6 or Cat5e cable. The GG45 connector has four additional conductors that provide support for frequencies of up to 600MHz. The higher frequencies allow Cat 7 cable to support 10-Gigabit Ethernet. Cat7 cable may also be terminated using TERA connectors, which were developed by Siemon™. The TERA connector has a unique footprint and is not compatible with a standard 8p8c (RJ45) connector. The TERA connector is also capable of supporting frequencies of up to 600MHz. The ability to support the higher frequencies allows Cat7 patch cable to carry more data. This allows Cat 7 patch cable to support Ethernet applications up to 10-Gigabit Ethernet. What is the application for a data center? Cat7 cabling will be used for backbone connections between servers within a data center. 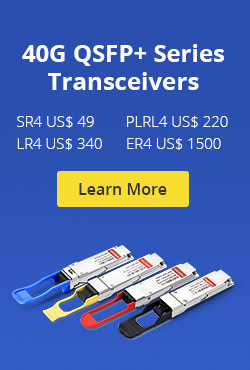 This provides a high-speed interconnect used for data transfer within the network. This provides an alternative to using fiber optic cabling within the data center. Cat7 cabling will provide similar performance to some fiber solutions. The cost of equipment that supports copper cabling is typically less than equipment that supports fiber cabling. Another advantage is that the copper cabling is not as fragile as fiber cabling. What’s the practical performance difference with Cat5e/6? Cat7 patch cable is designed to support much higher frequency signals than Cat5e and Cat6.This allows Cat7 cabling to carry a larger amount of information. Cat7 cable is also able to better protect the signals traveling over the cable. The shielding as well as the tighter twists of the pairs in Cat7 cable lessens the effects of crosstalk and EMI. Is Cat 7 widely used? Currently, Cat7 is not widely adopted. 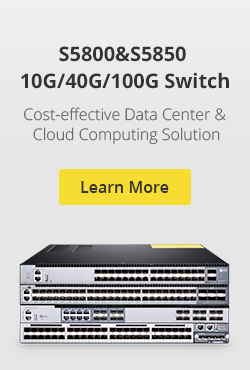 Cat5e and Cat6 solutions sufficiently support the bandwidth requirements of today’s data centers, networks, and end users. Using Cat7 for a connection to a desktop would be unnecessary because the bandwidth would not be utilized. It may also be an unnecessary expense for many data center applications for the same reason. However, as technology advances and requirements increase, Cat7 cable will become more relevant in the data center and desktop connections. FiberStore provides cheap fiber optic cable,such as Cat 7 patch cable was hot sale,it has high quailty and low price! Come and buy your need fiber optic cable. This entry was posted in Cat5/Cat6/Cat7 Network Cable and tagged Cat 7 patch cable, cheap fiber optic cable, Fibre Connector on October 16, 2013 by Amelia.Liu.